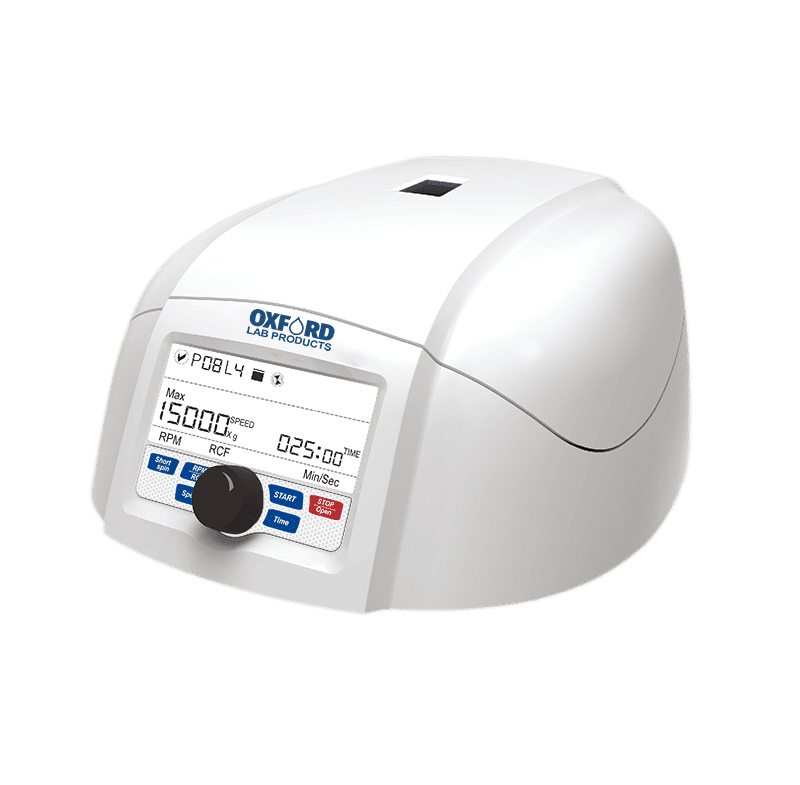 Oxford Lab Products BenchMate C12V High Speed Microcentrifuge simplifies centrifugation while maintaining powerful capabilities. 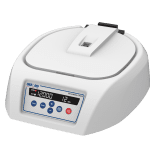 This compact and easy to use high speed microcentrifuge comes with an intuitive and simple interface for making quick and convenient setting adjustments. 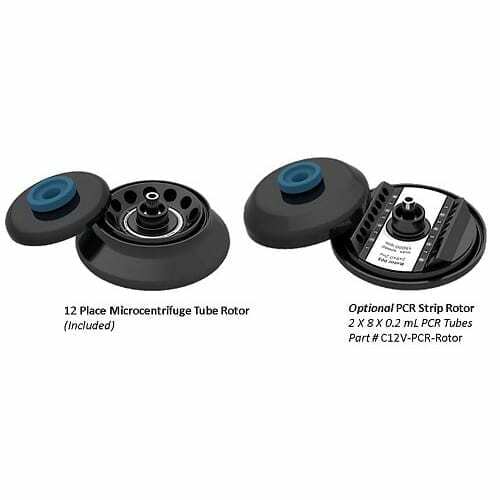 All centrifugation protocols can be performed up to the maximum speed of 15,000 rpm (15,595 x g) with this high speed microcentrifuge. The C12V High Speed Microcentrifuge has the ability to simultaneously store up to 99 programs, with 4 lines per program. You can also store, view and run all of your programs from a computer through the USB port. 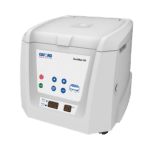 This Oxford Lab Products BenchMate C12V High Speed Microcentrifuge is compact, with a small footprint that saves you valuable benchtop space. The large digital display makes it easy to set and view programs. The unit is powered by a brushless DC motor which is maintenance free and produces less heat than traditional motors. The airflow design further minimizes heat generation which protects your samples during centrifugation. 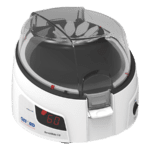 If you are looking for an even smaller unit for quick benchtop spin downs, the BenchMate C8 Microcentrifuge might be the perfect unit for you. Max speed of up to 15000 rpm (15596 x g), with a range of 500 to 15000 rpm. Intuitive and simple interface for quick and convenient parameter setting. Lid lock safety – lid opens automatically on run completion. Dual shell metal enclosure and imbalance detection with an auto cut-off safety system. One touch Short Spin operation and rpm/RCF conversion. Small footprint – saves valuable bench space. Suitable for use in hoods or cold rooms. Compatible with mini hematocrit rotor and PCR strip rotor. Microprocessor controlled, with last run memory feature – save up to 99 programs. USB port for programming via a computer and remote operation. Unique airflow design – ensures less heat generation and less noise (< 60 dB). Adjustable timer – 30 secs to 999 mins, or infinite mode. Quick acceleration and deceleration time. Large back-lit LCD display shows multiple parameters at once. Automatic internal diagnosis and error display.